The recognition comes on the heels of BAYADA being honored for the second year in a row with a Glassdoor Employees’ Choice Award, which is based solely on the input of employees, who elect to provide feedback on their jobs, work environments and companies on Glassdoor, one of the world’s largest job and recruiting sites. BAYADA hires individuals who are connected to purpose and who Love What They Do because it is their calling—and goes to great lengths to recognize, and reward that commitment, with nearly a dozen employee recognition programs providing scholarships, incentives and perks. As the first home care provider to offer nurses the opportunity to practice their skills in a clinical simulation lab, BAYADA also helps to foster employees’ individual growth with a variety of training and educational programs including nurse residency programs, specialization, and certifications. In addition to investing in employees through competitive salary and tailored career progression, the company also supports clinicians with workflow-streaming technology such as tablets, electronic documentation, and telehealth communications. 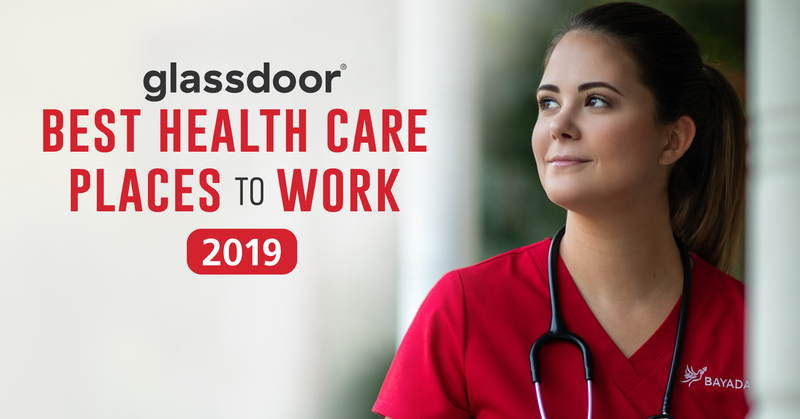 The “Best Health Care Companies to Work For in 2019” sheds a spotlight on the non-medical roles available within the company, ranging from insurance confirmation association to health care sales account manager. For all available jobs, visit BAYADA’s job site.